The first dispatch described how the work of General Convention started before General Convention itself officially started. Now that it has officially started, it's like drinking from a firehose. See the photo gallery at the bottom of this page for photos by Nina Nicholson, Cynthia Black and Sharon Sheridan. Two important events happened the evening of Wednesday, July 4. 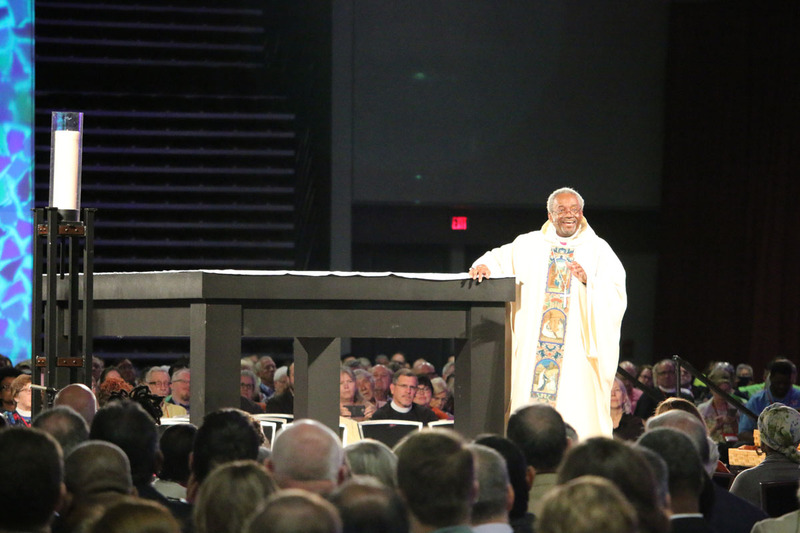 The worship service was a special "Liturgy of Listening" featuring stories submitted by victims of sexual misconduct within the church. 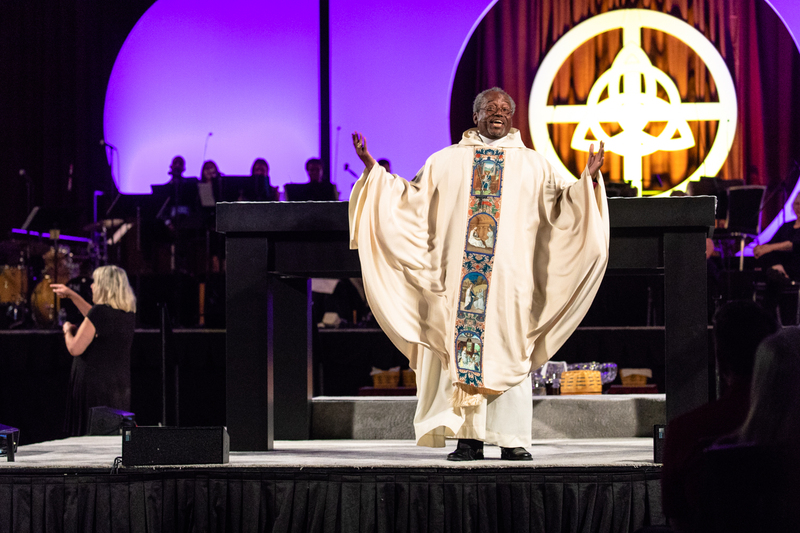 The service was designed by the House of Bishops’ Pastoral Response to #MeToo Planning Team to help set a framework for General Convention’s consideration of resolutions dealing with sexual misconduct, exploitation and gender disparity. 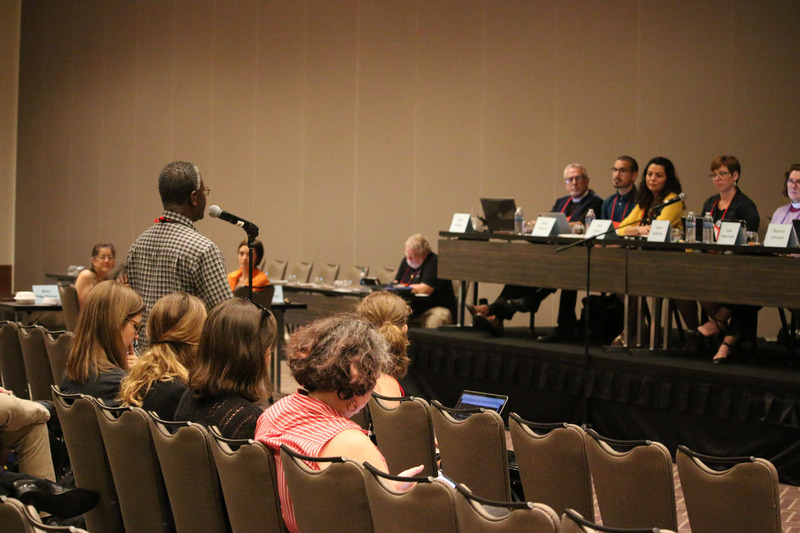 Read more at Bishops lament and confess the church’s role in sexual harassment, exploitation and abuse (Episcopal News Service). 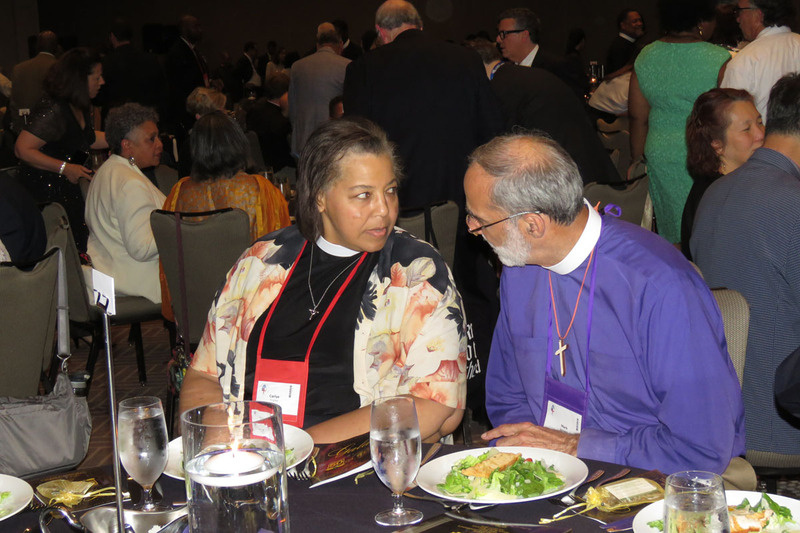 Later that evening, many of the Diocese of Newark contingent attended the Union of Black Episcopalians' 50th anniversary gala. 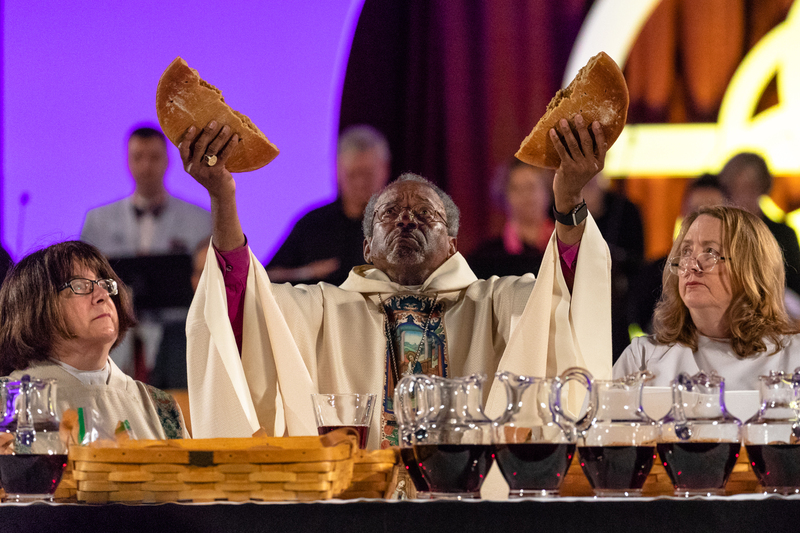 Thursday morning, July 5 saw the opening Eucharist of General Convention. 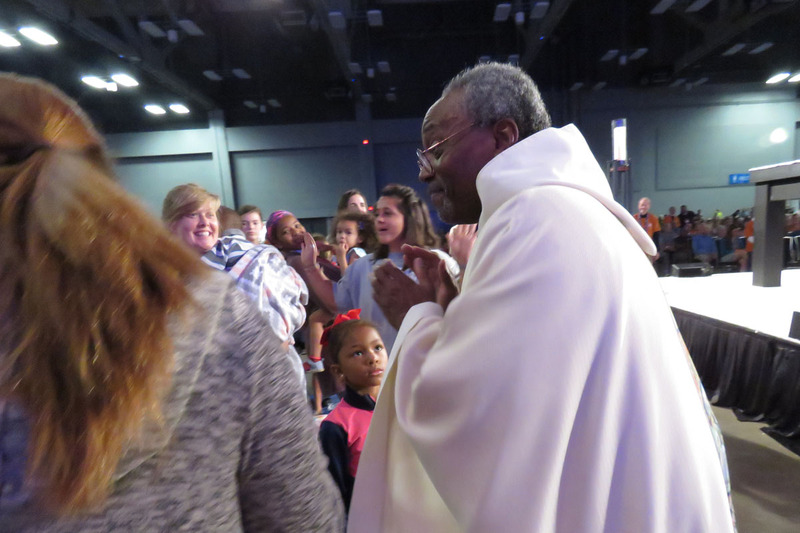 In his sermon (full text here), Presiding Bishop Michael Curry invited all Episcopalians to take up the Way of Love, a set of seven spiritual practice for a Jesus-centered life. More information and resources are availale at episcopalchurch.org/explore-way-love. 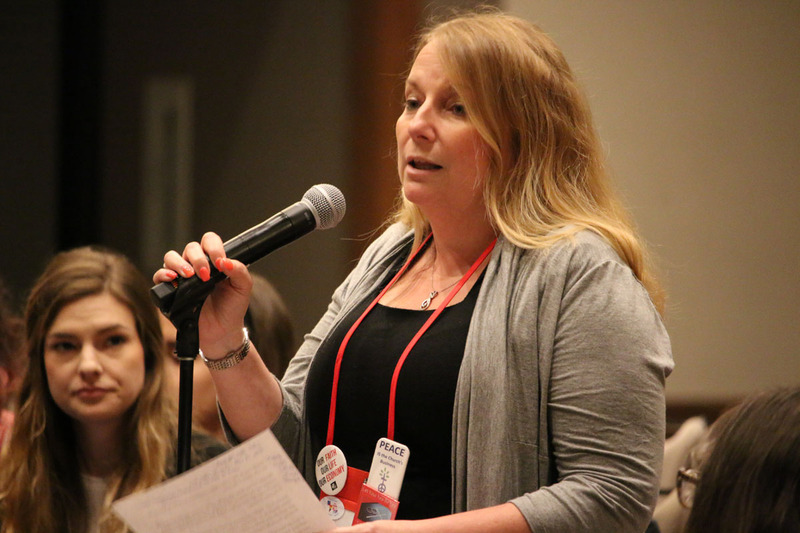 The first few days of General Convention are packed with legislative hearings, as committees hear testimony and consider amendments to resolutions before they go before the House of Deputies and House of Bishops. 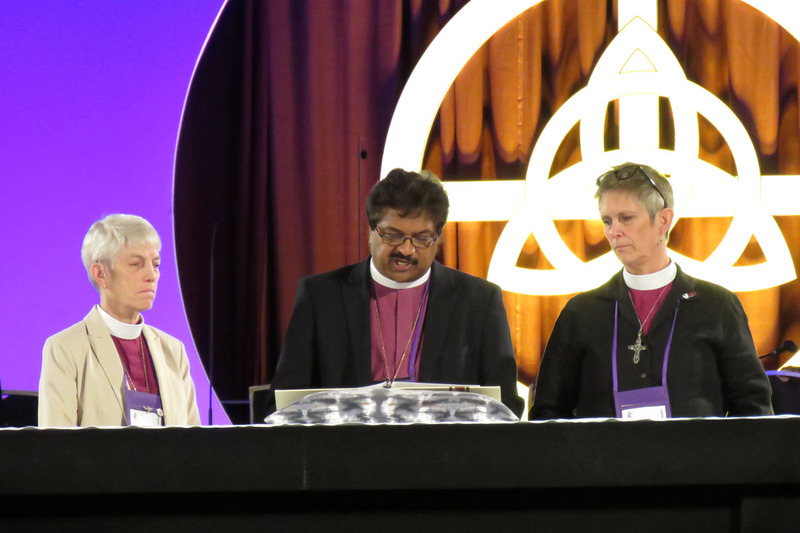 If you'd like to lern more about how resolutions move through General Convention, the Episcopal Church in Connecticut has an excellent one-page guide [PDF]. Follow the Newark contingent online at the diocesan media hub: dioceseofnewark.org/gc2018.